In what’s now become a September tradition, here’s my past post sharing Patrick O’Connor’s sane, easy-to-follow system to help seniors do the most important college application-related task—just make progress. No wasted time meticulously over-scheduling your every to-do (which rarely works), or worse, procrastinating until the last minute. Just make progress, a little bit at a time. And that state of progress eventually leads to a state of completion. Don’t let the simplicity fool you—it’s actually a wonderful hack that can be applied to any worthwhile project, whether you’re a teen applying to college or an adult forging ahead in work and life. 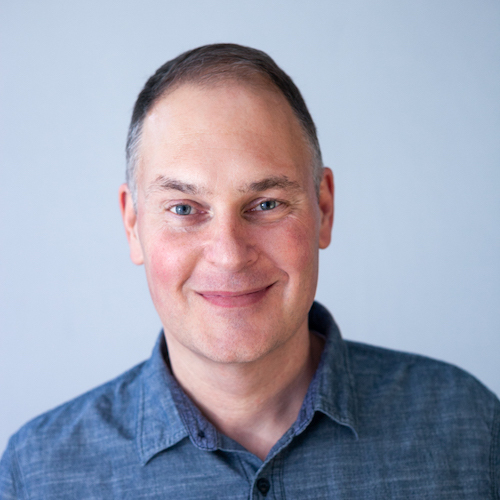 Teresa Amabile, Director of Research at Harvard Business School, and developmental psychologist Steven Kramer are the authors of The Progress Principle: Using Small Wins to Ignite Joy, Engagement, and Creativity at Work. As the title suggests, their research found that the single biggest factor for keeping someone excited and engaged with their work is simply making regular progress, even if it’s just a small win. And best of all, they also found that when you experience that feeling, you also become more creatively productive. The more progress you make, the better those applications are likely to get. A waiting virtual pile of yet-to-be-started college applications is foreboding. And foreboding is a feeling you want to run away from, not toward. But that feeling of making just a little progress, of just completing that first section of an application, or hammering out that first, albeit imperfect, draft of an essay, or even just making a concrete list of to-dos so at least you know where to start, is a feeling you want to come back to the next day. Once you get a taste of the progress, you’ll chase it repeatedly. And you’ll get even better as you go. If you’ve slowed, stalled, or not yet started your college applications, don’t focus on the totality of the project in front of you. Instead, find a way to just make progress. When you finish for the day, celebrate that win. Repeat that exercise, feed off your momentum, and you’ll eventually be celebrating your big win of submitting that final app. Finding a better way to do something worth doing is almost always valuable provided that everyone affected agrees that it’s better. Your better way to organize inventory at your part-time job isn’t actually better if your boss and coworkers don’t agree. The better day and time to host your club meetings isn’t better if it makes participation more difficult for the rest of the club members. And the point guard on the basketball team can’t decide that she has a better offensive plan if the coach and the team aren’t on board with the new approach. That’s why the very best strategy to present compelling college applications is to follow directions. Don’t look for a better way. You might decide it’s better for you to send extra letters of recommendation, or to write an essay that’s twice the maximum allowable word length, or to write “see attached resume” rather than list the activities in the space provided. But none of those decisions are better for the admissions officer evaluating the application. Offices of admission spend months crafting their applications to give them the information they need in the manner they’re prepared to best evaluate. Unfortunately, that process is not collaborative. Applicants aren’t invited to weigh in with their own suggestions as to how they can best present themselves. So the only way to ensure you don’t do something that frustrates your reader is to work within the system they’ve given you. If you’ve found better ways throughout high school, especially those that benefited everyone involved, share them on your applications. But do so using the space and the opportunity as they’ve been provided to you. Follow the instructions and resist the urge to find a better way. You don’t have to apply to the University of Virginia to benefit from this advice on their recent blog entry (bold emphasis theirs). As the entry explains, unless you are applying to an arts program that specifically requests a portfolio, UVA does not want resumes, abstracts, writing portfolios, etc. Some will ask for more than others. But they’ll all be clear about what they need. You can register or get more information here. I hope you’ll join us. When we brainstorm a college essay with a Collegewise student, we always set a deadline for that student to return their first draft to us. Depending on the student and the application deadlines themselves, the average time we give them is 1-2 weeks. But some students are so excited about their topic that they return their first draft in less than 24 hours. We’ve always admired these students for their pluck (finishing early is a lot better than finishing late). But we’ve also learned over the years that most of these early submissions are rarely the strongest of the first drafts we’ll see. Like anything worth doing, great writing takes time. We don’t expect perfection in a first draft—that’s why it’s a first draft. But the best versions aren’t actually first drafts at all. A student may have rewritten their opening paragraph two or three or five times. They may have worked and reworked a story that just didn’t read well on first pass but tightened up nicely on the second effort. The conclusion that felt forced yesterday benefits from fresh eyes and a fresh start today. It’s a first draft to us because we’re seeing it for the first time. But it often bears little resemblance to the actual first pass. The early submitters, on the other hand, usually haven’t spent nearly as much time revising and refreshing. They let their enthusiasm carry them from beginning to end, unchecked. What ends up on the screen the first time is what stays and gets submitted. It’s laudable that they don’t wait until the last minute. But what they first submit usually doesn’t represent what they’re really capable of. College applicants, try to find a balance as you complete your essays and your applications. Procrastinating until the last minute is a terrible strategy—an impending deadline just coaxes your fastest, not your best, work. But there’s also no prize for finishing first. In fact, it often results in a quality penalty. Take your time. Sleep on it. One extra day or week makes little or no admissions difference. But it can make all the difference in the output. We now remind our students that they should take their time on their first drafts and come back with something that shows us what they’re really capable of. Yes, it’s just the first draft, and the finished product will be the most important piece. But we’ve learned that the best route to that destination is the one that doesn’t get you there too early or too late, but just right. 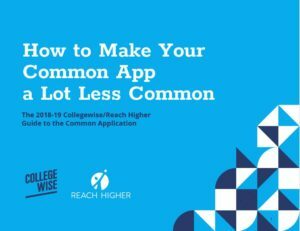 Our Collegewise Guide to the 2018-19 Common Application is here, free to anyone who wants it. I have vivid memories of one full day in July 2011 when Arun and I went line by line through the Common App and considered all the advice we could give for every section. The result was a 64-page Microsoft Word document crafted on a desktop computer. I don’t think either of us ever imagined that Collegewise would still be producing updated annual versions of the guide seven years later or that so many of our colleagues would help us make it even better. And we certainly never imagined that we’d publish it one day with Michelle Obama’s education initiative, Reach Higher. But we’re so happy that our guide has proven to have staying power. You can get your copy here. Our guide will teach you exactly what to look for when reviewing your students’ Common Applications. If you know a family, counselor, PTA president, community-based organization, etc. who could use this guide or who could put it in the hands of those it might help, please share our download link. P.S. : If you haven’t already signed up, don’t miss our upcoming free webinar, “How to Make your Common App a Lot Less Common” on Wednesday, September 12, from 5 p.m. – 6 p.m. PDT. All the details are here.